Commuters who share a ride to work, use transit, walk or bike have a common concern, “What do I do in an emergency?” For commuters in Adams, Berks, Carbon, Cumberland, Dauphin, Franklin, Lancaster, Lebanon, Monroe, Perry, Pike, Schuylkill, and York counties who are enrolled in our free service, an Emergency Ride Home is the answer. 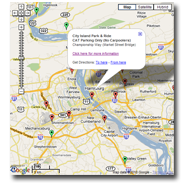 The ERH program is now available through Commute PA. This page will answer most of your questions on the program. You can also call 1.866.579.RIDE or Email us to enroll. Tim Martin, Director of Safety & Training, Quality Custom Cabinetry, Inc.
1. If you qualify for the program, please enroll online through Commute PA. You must be enrolled and tracking weekly green commute trips in Commute PA prior to the date of the emergency trip. 2. An individual finds, coordinates and pays for their transportation trip(s). The commuter decides how they are transported, for example by taxi, transit, Uber, Lyft, by a co-worker or car rental. 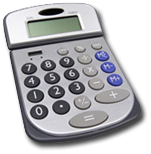 Reimbursement is based on the receipted fare or equivalent of the IRS rate for mileage reimbursement. Taxi tips are reimbursed by Commuter Services. We ask that commuters use discretion when tipping. 3. After the Emergency Ride Home, commuters simply sign into their Commute PA account here, العثور على نموذج سداد ERH,,en,يمكن العثور على نموذج تعويضات ERH في قسم المكافآت تحت فئة "عبر الإنترنت" أو في علامة التبويب "المزيد" الموجودة في القائمة العلوية,,en,العثور على نموذج سداد ERH,,en,يمكن العثور على نموذج تعويضات ERH في قسم المكافآت تحت فئة "عبر الإنترنت" أو في علامة التبويب "المزيد" الموجودة في القائمة العلوية,,en, click redeem and follow the directions in the email they receive. The ERH reimbursement form can be found in the rewards section under the “Online” category or in the “More” tab located in the top menu. Commuters are asked to submit their reimbursement form and any accompanying receipts to Commuter Services by fax, email or mail within thirty (30) days following any trip. Commuter Services may contact the commuter or employer to verify information and eligibility. Please allow at least 60 days for reimbursement. A reimbursement for a qualified emergency ride for commuters who use options other than commuting alone to work in their personal vehicles. Who can use an ERH? Anyone who commutes to work at least twice a week by transit, carpool, vanpool, bicycle, or walking, tracks their trips in Commute PA and lives or works in Adams, Berks, Carbon, Cumberland, Dauphin, Franklin, Lancaster, Lebanon, Monroe, Perry, Pike, Schuylkill, ويورك أقاليم. An unexpected personal illness/emergency, unexpected immediate family illness/emergency, or unscheduled overtime at your supervisor&#8217;s request. الأسرة المباشرة زوج, wife, child, brother, sister or parent. You are able to utilize the ERH program if your current mode of transportation is delayed an hour or if the delay causes you to miss your connection to another mode. For example: If you take the train to a bus stop, take the bus to your home, and the train is over an hour late which makes you miss your bus, this is considered a qualified emergency. Also – if a commuter’s carpool driver has a qualified emergency or supervisor-approved, unexpected overtime. Trips like personal errands, non-emergency medical appointments, business-related travel, working overtime without a supervisor’s approval, and on-the-job injury. Please call for clarification on what qualifies as an emergency. Where can commuters go on their ride? Qualified destinations are to their home, vehicle (if parked at a transit station or carpool/vanpool pick up site), child’s school or daycare, or a medical facility. Trips may also include several stops, such as to the child’s school, a medical facility, and then home. Is there a limit on rides? A maximum of six (6) rides and up to $100 per ride will be refunded per calendar year, per commuter. Who pays for the ride? The commuter pays for the ride and is reimbursed by Commuter Services for qualified rides. If their employer is enrolled in our program, the employer can pay for any emergency rides home and the employer will be reimbursed by Commuter Services. Ask your employer if they participate in this program or call Commuter Services. *Note: ERH is not to be used to access emergency medical care in lieu of ambulance or other appropriate medical transport service or for work-related injuries.